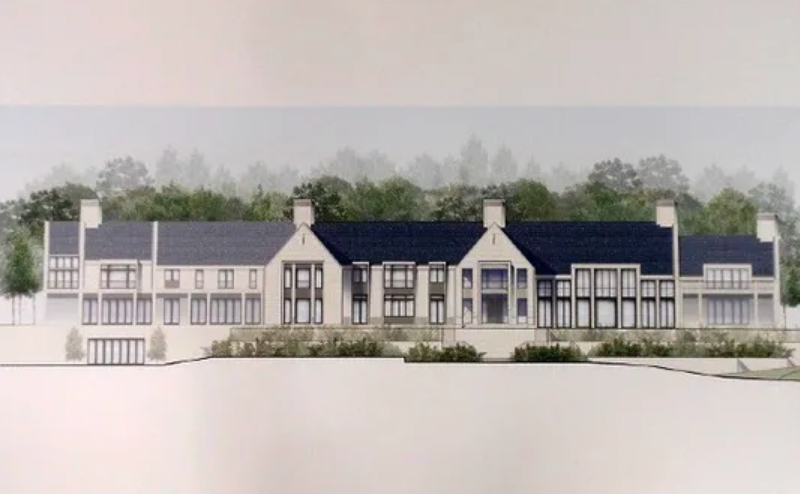 This proposed mega mansion will be built in Montclair, New Jersey. Once built, it will be one of the largest single family homes in America. The home is being built by tech billionaire Melih Abdulhayoglu. Melih is the founder of Comodo, a cybersecurity company, and has a net worth of $1.6 billion. The home will feature a whopping 60,000 square feet of living space with 2 elevators, bowling alley, indoor & outdoor pools, indoor basketball court, gym, home theater, 22-car garage and much more.